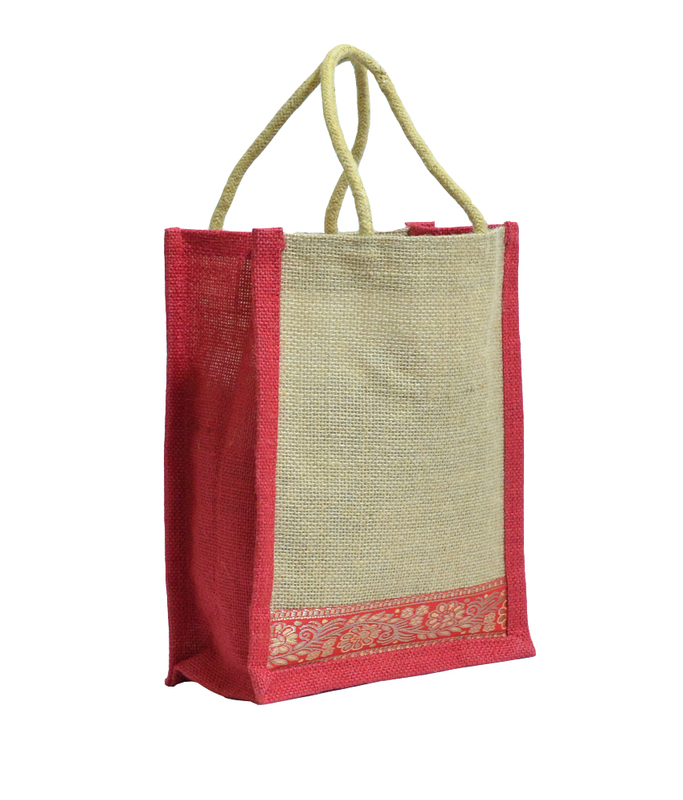 Cute and trendy, this red border colored jute bag will be a great utility our collection of handbags. Featuring an attractive design, this handbag is not only stylish, but is also eco-friendly. 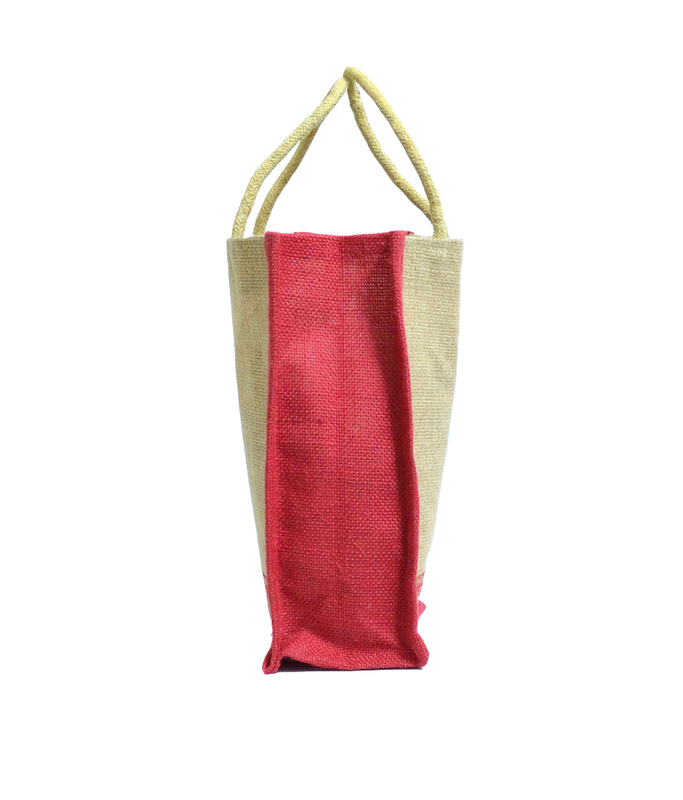 Made from jute, this handbag is lightweight and easy to maintain. It solves the purpose of being handy and being eco-friendly. . It can be used for a myriad of purposes including shopping, taking lunch, and even carrying your personal effects. This is a great bag for both professional as well as domestic usage. Product colour may slightly vary due to photographic lighting sources or your Screen settings.